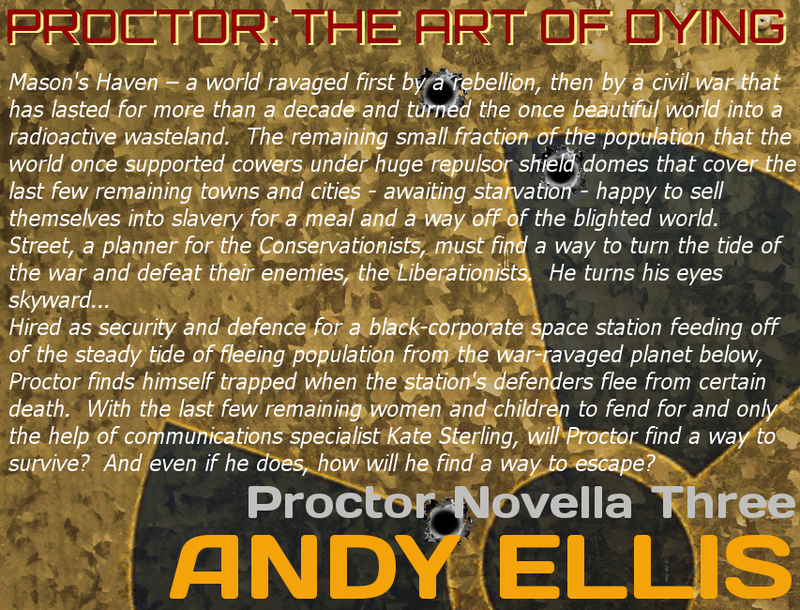 The Science Fiction Novels of Andy Ellis. 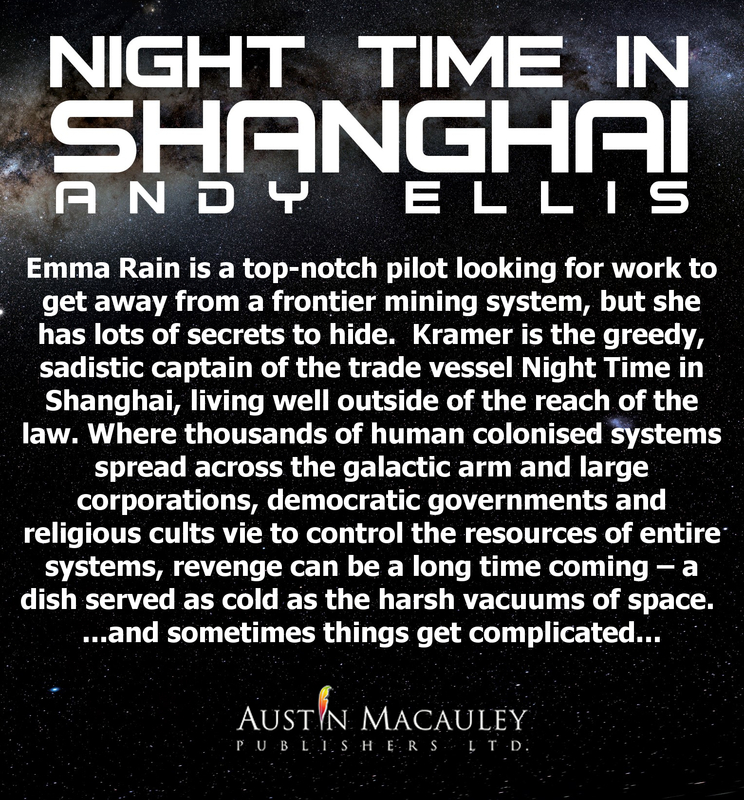 In July 2015, I had an idea for a trilogy of novels - the 'Night Time in Shanghai Series' and I sat down and wrote the first of these, 'Night Time in Shanghai' (Nov '16, Austin Macauley Publishers, 301 pages) which was accepted for publication in November 2015 and is widely available in hardback, paperback and ebook formats. I went on to write the second in the trilogy 'The Gaps Between The Stars' (Coming soon - approx 500 pages), finishing it on boxing day 2015 (much to my family's annoyance). After this, I decided to write three shorter spin-off novels and self-publish these through Amazon Kindle Direct Publishing. These are Proctor: The Art of Living (Amazon KDP, 136 pages), Proctor: The Art of Killing (Amazon KDP 165 pages) and Proctor: The Art of Dying (Amazon KDP 141 pages) and are available in paperback and ebook formats. I am currently working on two novels - 'The Product of My Dreams', a Virtual Reality Novel which I expect to come in at around 500 pages and 'Time Off' a Proctor novel, which I expect to come in at 300 pages. I already have a publishing offer for 'Time Off' through a US publisher. If you do read or have read any of my novels, please leave me a review on Amazon.co.uk - thanks. In November 2016, my first novel was published by Austin Macauley Publishers of Canary Wharf, London. This novel is available worldwide and is held as stock by bookshops in a lot of countries. Find it on Amazon in the UK. It was perhaps a mistake to describe these as 'Novellas' - they range from 136 to 165 pages, so they are more short novels. They focus on the earlier life of one of the main characters in Night Time in Shanghai and are fast-paced action novels. Proctor: The Art of Living on Amazon in the UK. 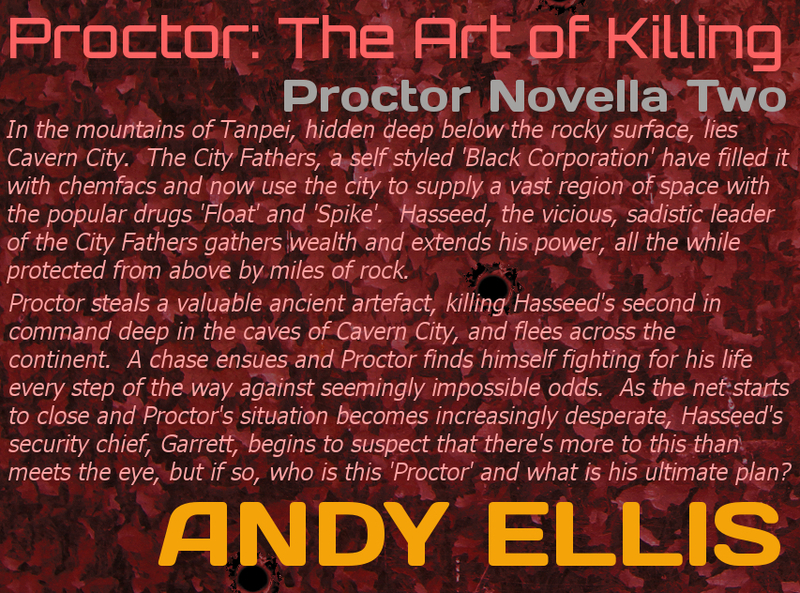 Proctor: The Art of Killing on Amazon in the UK. 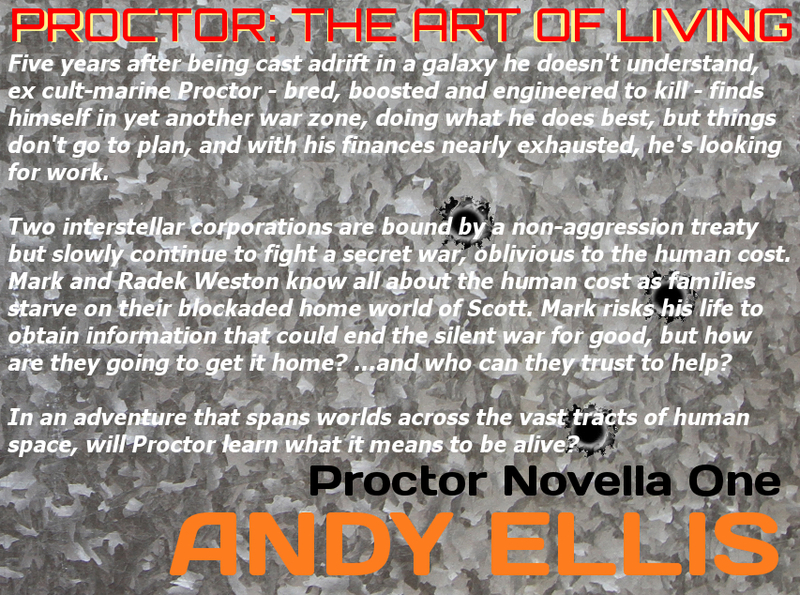 Proctor: The Art of Dying on Amazon in the UK.